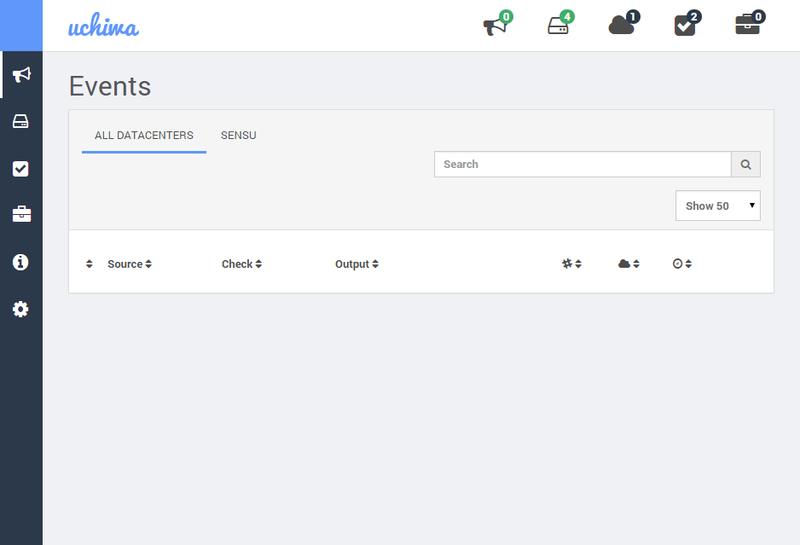 I currently have a set up with a Sensu Master, with its own client running on the same machine, and two other client Sensu machine one sends data via SSL and the other does not. All these servers are in my network. Before I get too far, the server I am installing this on is running Ubuntu 10.04 (it's an older server I have had running in AWS for a few years) My other Sensu Servers, including the Master, are all running on Ubuntu 14.04. Put the following in it, host contains the Master Sensu hostname or IP address, make sure to change it to your setup. I found this guide https://github.com/Hack56/Rails-Template/wiki/Installing-Ruby-via-RVM-on-Ubuntu-Lucid-10.04  showing how to install Ruby 1.9.3 using RVM. Set the default version to use. I see that is working too. I have two current checks that I want to add this new caws-client as a subscriber. 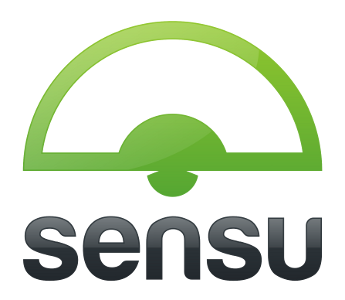 I am going to update the file on the Sensu Master (adding the new subscriber) and then copy them over to the new remote sensu client. Now I need to copy these checks and the actual ruby code over from Master to the new remote client. 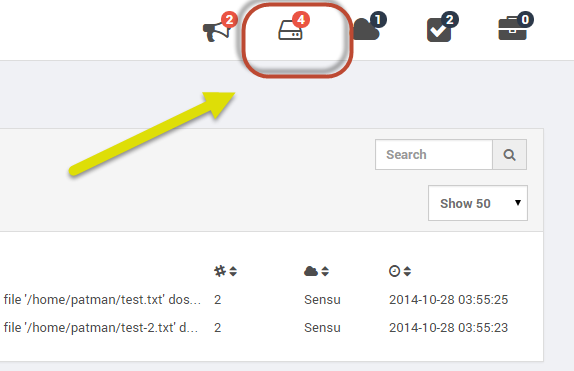 Or if you already have them on the Sensu Master server copy them over. At this point it should try to connect and fail. 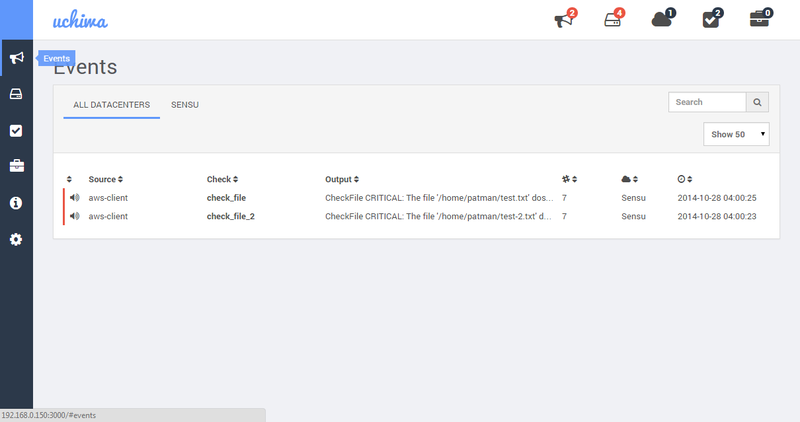 Looking at the sensu client log on the remote server. This is because I am not forwarding the correct ports from outside my network to my Sensu Server. 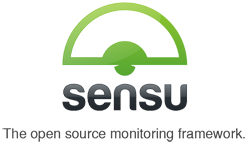 Restart the Sensu client on the remote server. I now have 4 clients, which in my case is one more than I had a minute ago! I think its talking to it. 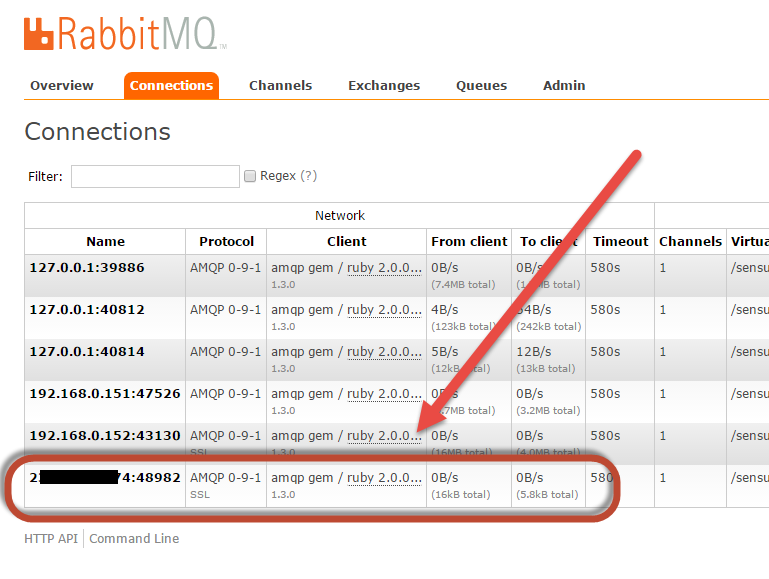 RabbitMQ is getting data from the remote server. The new server client is triggering two alerts. Now my dashboard is clean. I can see the new AWS remote server is communicating via SSL to my Sensu server.